Edward J. Monahan. Collective Autonomy: A History of the Council of Ontario Universities, 1962-2000. Wilfrid Laurier University Press, 2004. Pp. 252. Levi, Charles. 2004. “Edward J. Monahan. Collective Autonomy: A History of The Council of Ontario Universities, 1962-2000. Wilfrid Laurier University Press, 2004. Pp. 252.”. 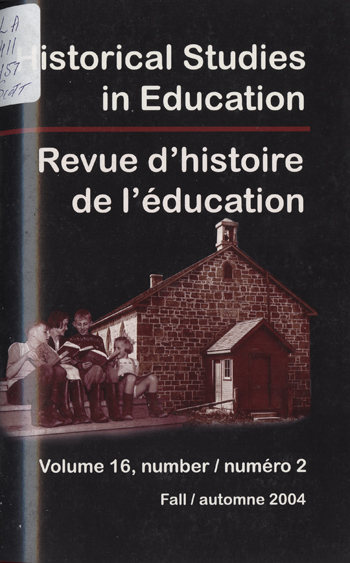 Historical Studies in Education / Revue D’histoire De L’éducation 16 (2), 377-81. https://historicalstudiesineducation.ca/index.php/edu_hse-rhe/article/view/340.